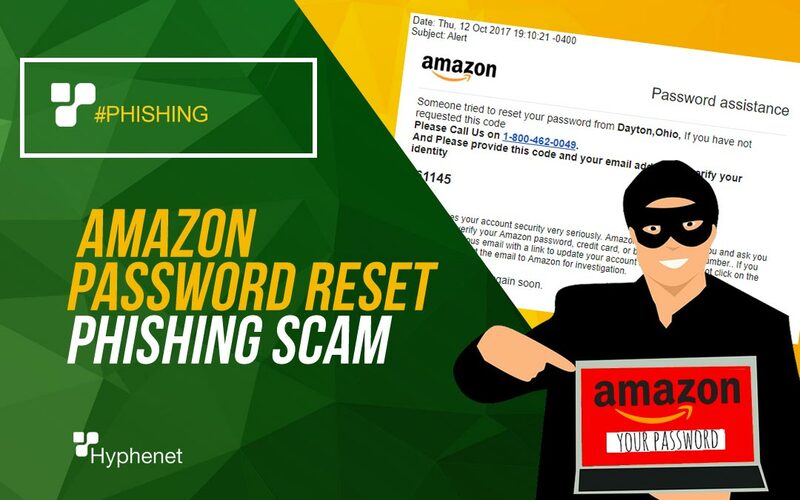 Amazon Password Reset Phishing Scam "Someone tried to reset your password"
Watch out for this new Amazon Password Reset Phishing Scam. Please Call Us on 1-800-462-0049. If you receive an email claiming to be from Amazon reguarding someone trying to reset your password, take a closer look, it’s not from Amazon. Delete it now and don’t call the phone number. 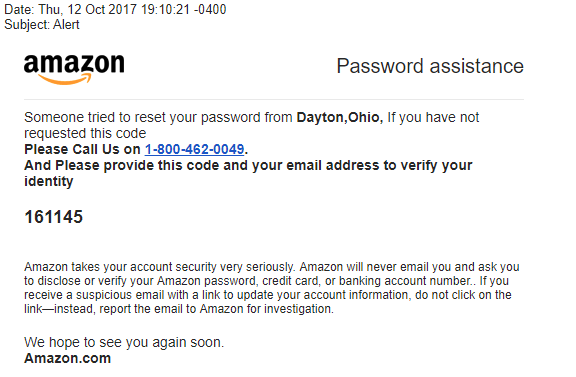 This Amazon password reset scam almost looks like a real email from Amazon at first glance; but it’s not! This email only uses Amazon’s logo impersonating the company. They also claim to provide you with a six-digit number to verify your identity. (this is a bogus number.) Do NOT call the phone number. Caution: Have You Received Unexpected Text Msgs with Google Verification Codes? Anyone that thinks this email is convincing should take a second guess by Googling the phone number “1-800-462-0049.” You will see it leads to scam results of many people reporting suspicious activity. The spoofed email even mentions an account security disclosure, warning you to never click on suspicious email links and to report them to Amazon for investigation. The actor behind this email is trying to make this email appear legitimate. 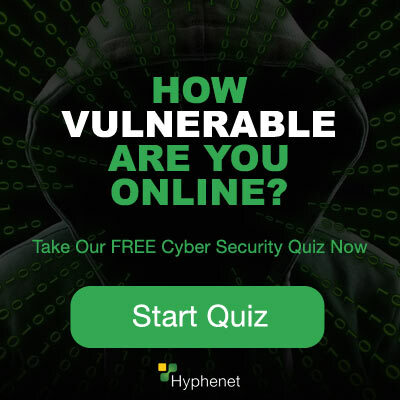 In addition, if you have taken our free Quiz: Can you Spot a Phishing Email? You’d know all the signs to look for to verify if an email is a phishing email. However, it has been reported that people have actually called this number: 1-800-462-0049 and their call was answered by someone with a thick Indian accent. Next, they were directed to visit a web site in order to input more information. (This should be the red flag that makes you hang up) Do not supply your personal information to the website. This is an example of email phishing. Do not fall for this new Amazon Password Reset Phishing Scam. 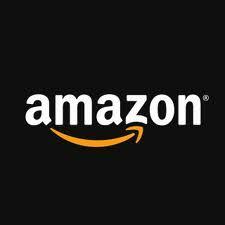 First, log-in to your Amazon account immediately and change your password before the cyber criminal changes you password. Second, change all your passwords immediately if you entered your personal information on the spammer’s website. Finally, contact your bank and let them know your situation. In addition, if you want to strengthen your own knowledge of cybersecurity, take advantage of the free online training and certification from ESET. You can get everything you need to know about how to protect your network. You will also receive a certificate upon completion.